Owen Cotter is a Buyer Specialist with Pearl Realty. His relatability and excellent customer service makes him an exceptional part of our team. If you’re a golfer you probably have seen him at one of the area golf courses. For the last 15 years he has worked in the golf industry, most recently as the general manager of the Shoshone Golf Club in Kellogg, Idaho. He caddied for many summers at the Coeur d’Alene Resort Golf Course and was also the caddie manager at Gozzer Ranch Golf & Lake Club. His years in the golf industry helped hone his craft of listening to the customer, asking the right questions and providing superior service. 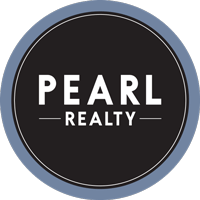 This training translates well in real estate and as a buyer specialist here at Pearl Realty. He has always been interested in real estate throughout his golf career and even while earning his master’s degree in physical education/sports science from the University of Idaho. “I have great people skills from all of my caddie days and career in the golf business, and I'm looking forward to this awesome new adventure in real estate,” says Owen. Owen and his wife, Sunny, have three children – Cassidy, Cruz, and Selah. They enjoy hiking and camping as a family. As the children grow, Owen is excited to introduce them to golf, fly fishing and skiing.